Today, the preparation that learners receive in higher education often fails to meet the needs and demands of the world of work, research, and success. This chapter proposes that the changes social media is causing in the business world can be further leveraged in higher education to cultivate 21st century learners, primed for innovative thinking. A model is provided which scaffolds critical thinking, communication, collaboration, and creativity and innovation through low cost/no-cost social media tools in educational and professional settings. At this time, social media’s capabilities and near ubiquitous access provide an essential infrastructure which has not been seen before. 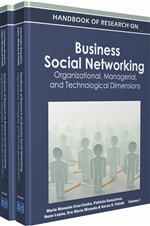 The chapter also presents specific strategies, valuable recommendations, and further direction for social media’s use. Spectator learning is an industrial age model. (King, 2009). It is a passive model of assimilation and indoctrination (Freire, 1973; Spring, 2009). In sharp contrast, 21st century survival, work, and learning demands active engagement, problem solving, critical thinking, and knowledge construction (The Partnership for 21st Century Skills, 2004; King & Sanquist, 2009; Wankel, 2010). This chapter outlines ways in which 21st century learning and social media can be incorporated in higher education and professional learning. The major sections define and illustrate the characteristics of 21st century learning which are essential for the constantly changing and demanding workplace as well as lifelong continuing learning. The next section illustrates the needs for and means of using social media to accomplish each of the competencies identified. It is not a matter of whether we use social media or not; it is a matter of when we will. Our organizations and we will be left behind if we remain outside the circle of dialogue, collaboration and knowledge creation which is being generated through this medium. Virtual Environment: Learning and communication settings that exist online, including but not limited to the Web through video, text, avatars, and more. Lifelong Learning: The process through which adults remain learners (thus adaptable) throughout their lives. Global Community: A term that represents the fact that, via the Internet, we can be connected to others across the globe and feel we are part of a collective community. Facilitators: Instructors or group leaders who “guide” a discussion, but don’t dominate it. Ask leading questions, try to make sure people get to speak and try to keep meeting on-track. Internet Reputation: What information is available on the Internet about someone/something. GoogleDocs: A free online application provided by Google that allows easy sharing and collaborative work on several types of documents. Knowledge Construction: A current model for understanding how new understandings are and knowledge created through collaborative synthesis and dialogue. In contrast to individualistic or solo pursuits of science. Active Learning: Learning where the learner is an active participant; individually, or perhaps collaborating with an instructor or peers to create knowledge. 21st Century Skills: Skills essential to the 21st century workplace. Collaboration, distance work, adaptability with technology, out-of-the-box problem solving. Digital Natives: The current and future generations of students that have grown up with constant access to the internet and digital media. Term originated with Marc Prensky. Reflective Practice: Learning/teaching practice that involves reflecting on lessons learned in the day, thinking critically about them instead of just learning through rote memorization. Cyberculture: The culture which continues to evolve within the context of using cyberspace/Internet and virtual technologies. (See Bell, 2006). Critical Thinking and Problem Solving: Approaching a problem with the intent to solve, being willing to think about the problem outside the box and put our minds towards the solution instead of the problem.